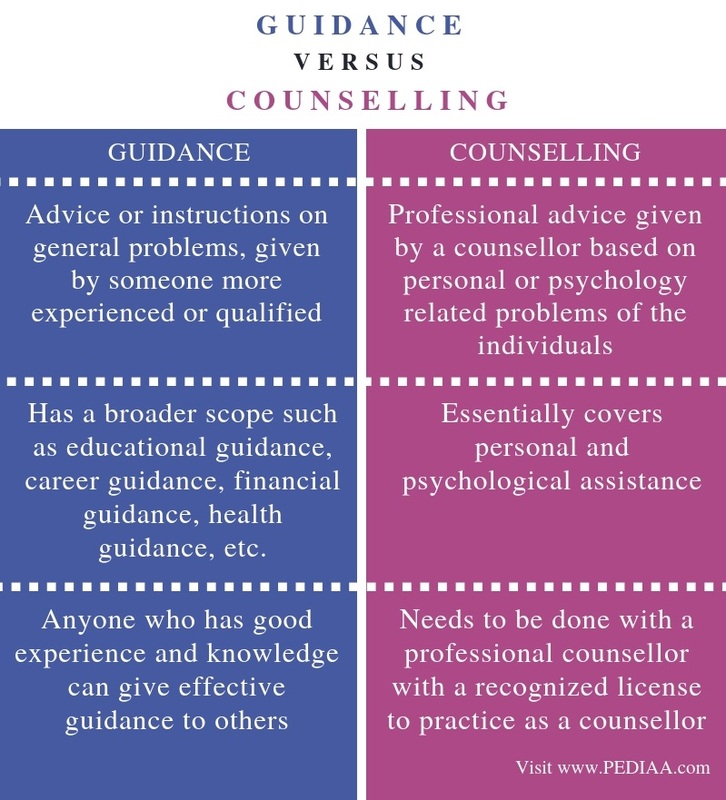 The main difference between guidance and counselling is that the guidance is the advice or instructions on general problems, given by someone more experienced or qualified whereas the counselling is the professional advice specifically based on personal or psychological issues of people given by a professional counsellor. We often encounter various problems in our lives. Sometimes we need the help of a second or a third party to find the best solutions to these problems. In these situations, guidance and counselling come into play. Though they appear quite similar in nature, they differ considering the scope of their advice given. Guidance refers to the advice and instructions given to a person by a more experienced or authoritative person on varied problems. Thus, guidance usually refers to the process where a person (who is most often with more knowledge or experience than the one who is receiving the guidance) offers instructions, advice on better pathways or solutions to find the correct answer to the problem someone faces. Therefore, guidance happens in almost all fields; however, it is in the field of education where guidance is more common. 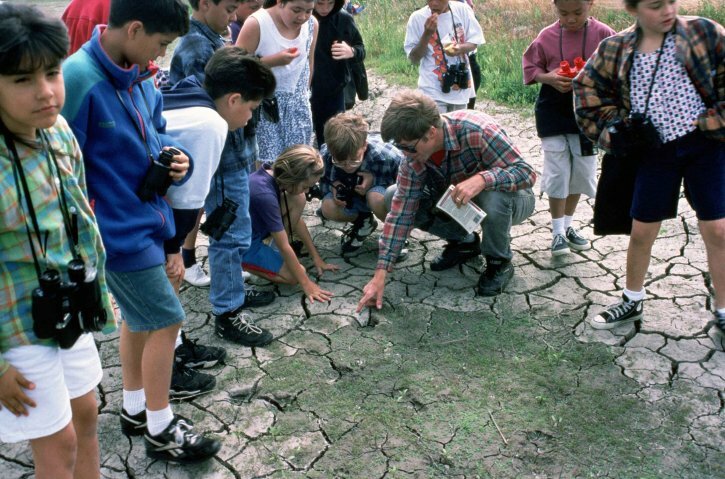 Teachers, lecturers, or professors guide the students in their education pathways. For example, university lectures or professors can guide undergraduates to find better career pathways by showing them the pros and cons of different careers they can follow once they graduate. Moreover, even in the workplace, the boss or the authoritative person guides his employees in the tasks they have to accomplish. Or, think of the guidance a bank personnel can give to you regarding your deposits. Even a simple situation where elder siblings guide younger siblings shows how guidance can happen. Thus, the scope of guidance is vast as it may include matters concerning education, tasks, career, finance, psychology as well. It is important to note that guidance happens with someone who is more experienced and someone who has lesser experience on the related issue. Counselling refers to the professional advice given by a counsellor based on personal or psychology related problems of the individuals. In brief, counselling is a form of psychological guidance for an individual. Therefore, unlike general guidance one can receive, counselling is mostly meant to help people deal with their mental issues. Similarly, to become a professional counsellor, one should have extensive academic knowledge and training in the field of psychology and a natural predisposition to help people. A counsellor directly deals with someone who needs the psychological assistance to alleviate his living condition. Moreover, since counselling aims at treating and rehabilitating disordered mental patients, it encompasses extensive fields such as research in order to provide the most accurate psychological supervision, training, and direction to the patients or individuals with psychological issues. Thus, unlike guidance, counselling is more therapeutic nature. Both are essential procedures that assist individuals in finding the best solutions to their problems in life. Guidance is the advice or instructions on general problems, given by someone more experienced or qualified while counselling specifically is the professional advice given by a counsellor based on personal or psychology related problems of the individuals. This explains the underlying basis of the difference between guidance and counselling. Scope is another important difference between guidance and counselling. Guidance has a broader scope such as educational guidance, career guidance, financial guidance, health guidance etc. 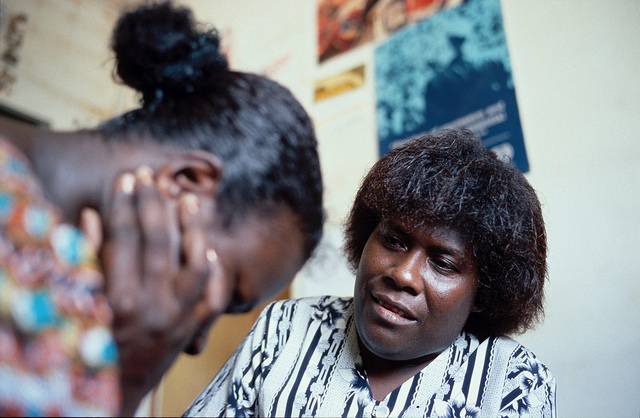 On the other hand, counselling essentially covers personal and psychological assistance. Anyone who has better experience and knowledge can give effective guidance to others. However, to give counselling, one should be a professional counsellor with a recognized license to practice as a counsellor. Both guidance and counselling become necessities for us when we are faced with crucial problems in our lives. Therefore, guidance and counselling can help us to find the best solutions that will help us to overcome these problems. Though they look similar, guidance and counselling are two different procedures. Guidance is usually the general process of guiding someone through advice or another manner to solve problems while counselling specifically refers to the advising process of a professional counsellor based on personal or psychological related problems of the people. This is the main difference between guidance and counselling.